Change always comes from outside the status quo. The John Chappell Natural Philosophy Society (CNPS) is that change. I have been involved with the scientists from the CNPS for over 20 years and the universe according to these scientists, is much more fascinating and more logical than the multi-dimensioned, paralleled, paradoxical universe that mainstream has basically invented during the last 100 years. There is enough work done by CNPS scientists to last researchers and engineers hundreds of years but the work of the CNPS remains in practicality, unknown to the rest of the world. 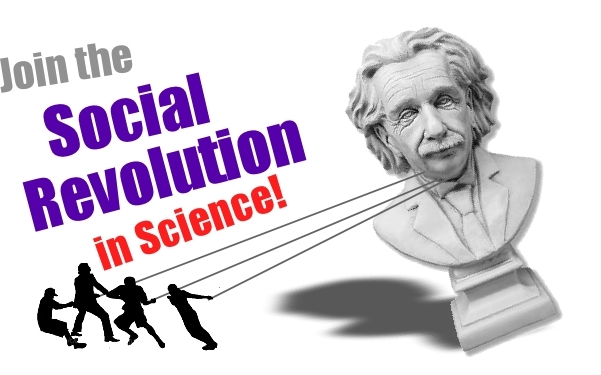 Efforts like my documentary film “Einstein Wrong – The Miracle Year” are a drop in the bucket when it comes the new “Social Revolution in Science”. 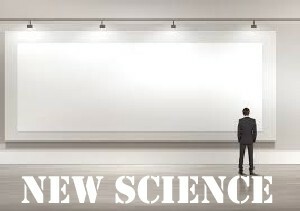 We now have a brand-new website, domain name (naturalphilosophy.org), a community website (based on BuddyPress), a comprehensive database of scientists working on cutting-edge theory, daily blogs for the layman from these new thinkers, a dissident science podcast (dissidentscience.com), and even a new film festival (Sciflix.org). But is it enough? Do we have what it is needed to not only communicate to the average person interested in science, but something that will get them coming back for more. We are missing something very important. And that something new starts with this article: a picture of the universe according to the best and brightest working outside the mainstream. The opposite of this idea of a picture of the best and brightest, are the multitude of science “edutainment” videos and television programs that have fantastic graphics based on bad science. This bad science includes strings, black holes, the big-bang, relativity, multi-dimensional universes and particle accelerators. In the dissident world (those outside the mainstream), these edutainment programs represent a great waste of creative, graphics, and artistic resources on a world of make-believe. The graphics of these programs look so real, that the public start believing them to be true not because they understand the science, but because they look so impressive. That is dangerous. The reason this has been dangerous is that we don’t have an alternative picture to paint. The CNPS has been working on technical papers that would put the average person into a coma unless they were into math, philosophy, or theory. And therein lies the problem. Most of the CNPS scientists paint pictures with numbers and equations and philosophy – exactly those things that drive the general public to sleep or away. The science from these scientists is really amazing but it is not their job to produce writing, graphics, films, podcasts or even websites that help teach the public about their work. That has to be done by those who are not the scientists in the group or by scientists in the group who have a talent for marketing. So I will try to paint some of this picture for you now. One of the first things you have to decide about the universe is whether it is infinite or finite. Infinite means much more than you first may think. Infinite doesn’t only mean traveling in a straight line forever. It means that if you were to travel in size both infinitely smaller or infinitely larger, you would never find an end. That means there are always smaller particles and smaller worlds, and there are always bigger structures on top of bigger structures. This means there are larger structures than the galaxies and these galaxies make up bigger structures. 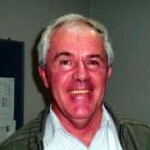 According to CNPS scientist Dr. Glenn Borchardt, “there are no partless parts”. This means there is no “ultimate” particle in the inverse. Whereas current particle physics says there are quarks and now the Higgs particle, they have no real assumption that there is no end to the small. Many scientists in the CNPS do believe this. Yet, there are scientists in the CNPS that believe in a finite universe. For example, Greg Volk, a CNPS scientist and electrical engineer, believes that if you travel in a supposed straight line, you would end up back where you started. In other words, the universe is a closed loop. Also related to infinity is the idea that the universe is infinite in time where stars are born, die and born again. You are right now standing or sitting on a big ball floating in space. Imagine that just over 200 million years again, this ball was significantly smaller. So small in fact that gravity was much less and that huge creatures could exist and they dominated the earth. These huge creatures couldn’t exist today because they couldn’t hold those huge bodies up in today’s gravitational field. Now image this swampy earth with shallow seas beginning to crack from inner pressure that is causing it to grow in size. First the cracks appear in the pacific, then all around the globe with water pouring in from the fissures. Water, oil, methane, and other material is being produced inside the earth and the oceans filling up. This is where the water came from, not comets. Just like the sun, the earth is manufacturing things inside and things like oil are not fossil fuels, but are abiotic (not biological in origin). This explains the reason we find oil so far down and at such quantities. They are not squished dinosaurs! This picture is one of the theories that many CNPS members subscribe to and whereas the evidence for expansion is everywhere in the geological, plant, and fauna records, there is one disturbing reality to this theory: the mass of the earth is increasing. There is both geological evidence and biological evidence to this growth in mass and there has to be a physical reason for it happening that we currently know of. Reasons range from aether (a medium for light), to pair-production, to decay or radiation, to solar particles. The good thing is that the CNPS allows for more than one theory so this is not a violation of the “new revolution” in science. Mainstream believes (for some unknown reason) that there can only be one accepted theory. Take a look at Neal Adam’s videos which are not only entertaining, but scientifically fascinating. Almost everyone in the CNPS believes light to be a wave in a medium. Waves can act like particles. One scientist, although not a member of the CNPS, has been at the CNPS meetings who has a fascinating experiment. This scientist is a specialist in Photonics for more than 30 years and has proposed a fascinating experiment that would blow photonic theory out the water. Take five, 1/5 photon energy sources and point them at a one photon detector. This one-photon detector goes off if it is hit by one photon. If you take 1/5 the energy of a photon, point 5 of them together, essentially, you are taking energy less than one photon, combing them to trigger a one photon detector. This means that what Einstein and others thought to be a photon, really isn’t a photon. Such an experiment would fit nicely into many CNPS scientist’s theories where light is a wave through an aether and not a particle or photon. The experiment has yet to be done. Others in the CNPS think electricity is light. Electrons can only travel feet per second where as electricity in circuits travels very close to the speed of light. When there is an break in power lines, we see sparks and light coming from the breaks and we know that metals and aether have a special relationship (this will be the topic of my own paper for the CNPS conference in 2015). Finally, the all-important speed of light as a constant and as a barrier is addressed by this new group of scientists. Sci-fi lovers all around the world dream of breaking the light speed barrier and the CNPS has shown data supporting the theory that light speed is in fact not a constant. Not present in this new universe is Einsteinian relativity, the big bang, black holes although there are dense objects, photons, quarks, neutrinos, and higgs particles. In fact, we have to go back to the electron, positron, and neutron and start over. In general terms, 20th century mainstream theoretical physics and cosmology can basically be pitched into the rubbish. Einstein himself started the dangerous precedent of theory first, finding data to fit that theory second. Since Einstein, physicists have followed this lead theorizing particles and finding them. What is important about the CNPS is the ability of scientists to debate, work, and collaborate even though there are fundamental disagreements like infinite versus finite. Over the last two decades, the CNPS has lived comfortably with numerous theories for the same phenomena. Mainstream science has a big assumption: that the universe has only one set of equations and we discover them – sort of a “decoding” of the grand design. This is very strange given that mainstream science prides itself as being an alternative to religion when in fact, its underlying assumptions are very religious-like. Modern day science assumes that the universe has laws that are the same for everyone in the universe. Topics may not include spiritualism, para-normal, politics, psychology, UFOs, or religion. This does not exclude anyone with particular beliefs in these areas from submitting papers. This only means that the main thrust of a paper cannot involve these subjects, even if motivated by them. One of the great things that has come in the last twenty-plus years is that this group of scientists has focused a lot on scientific assumptions, definitions, and vocabulary. That may seem trivial but in reality, it is a grave problem in modern physics. The CNPS has topics that are of great interest and focus from their scientists. Hundreds if not thousands of man-years have been spent on these areas. Some of the areas are “positive” areas where people are coming up with new theory while others are more “negative” areas where scientists are disputing current theory. Some of the negative or disputed topics are special relativity (by far the number one area), general relativity, the big bang, black holes, plate tectonics, and particle physics. Positive or new areas include alternatives to relativity, gravity theory, cosmological theories, force equations, unifying theories, and structures (an entirely new area of study). Each of these topics can be found in the CNPS database online. There are many prominent scientists in the CNPS. Too many in fact to list here. But I will pick out a good cross-section of a few that I think would be interesting for the general public and catch their interest. 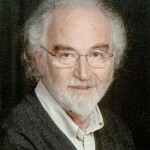 Dr. Bill Lucas – Author of several books, Dr. Lucas was a heralded by the United States government as one of the top young scientific minds of his generation until he was drummed out of the corp by the simple act of criticizing Einstein’s theory of relativity. But thanks to such an ouster, Dr. Lucas has succeeded in unifying the forces in his universal force laws where he has postulated that the electron and other sub-atomic particles are actually toroidal or doughnut shapes. 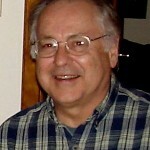 Dr. Glenn Borchardt – Author several books including The Ten Assumptions of Science, the Scientific Worldview, and “The Universal Cycle Theory“, Dr. Glenn Borchardt’s neo-mechanics is a striking example of the new theory and thinking of the CNPS scientists. (I will highlight his theory later on in this article). Dr. Cynthia Whitney – Working with electrodynamics and chemistry, Dr. Whitney has investigated many problems with mathematical models for light waves, chemistry, and now sub-atomic particles, especially the neutron. Dr. Gerald Pollack – The author of the “4th Phase of Water“, Gerald’s work is heavily based on experiment in the lab and the scientific method where he has found a common and important new form of water: H3O2. This turns out to explain everything from ice skating to clouds to important functions in cells. Although Dr. Pollack is considered by many in the CNPS as to be very non-controversial, evidently his work is not being accepted by mainstream science. 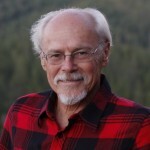 Dr. James Maxlow – An Australian geologist and author who coined the term “Expansion Tectonics”, Dr. Maxlow is considered to be the top geologist in the world that has shown significant evidence that the earth has been expanding and expanding exponentially for the last few hundred million years. He has also independently concluded that the mass of the earth has also increased with time and is currently looking into solar particles as one possible answer. See “The Origin of Continents and Oceans“. 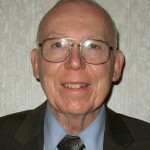 Ron Hatch – A GPS scientist holding over 30 patents in GPS, Ron Hatch is one of the few people who publically state that relativity is in fact not used in calculation for GPS satellites. He points out that GPS rather than supporting relativity, points out its flaws. Don Briddell – An artist by trade, Don’s science began with tying knots which lead him to the area of “Structures” where he an other scientists look at how structure in the universe organizes itself into predictable patterns which result in such things as atomic structure. There is a group of “structuralists” who meet regularly working on structure and how it plays a role in the universe. One of my favorite theories from CNPS scientists is the Neo-Mechanical (NM) from Glenn Borchardt and Steven Puetz. This is a fascinating world. In this universe there are only three things or concepts: 3 dimensional space, mass, and motion. There is nothing else. As for the basic interaction, there is only pushes. From these three thing, everything can be explained. In neo-mechanics, there are always smaller and smaller pieces and no two particles are exactly the same including subatomic particles like the electron. This is necessary for these particle to lock into stable orbits whether those be planets around moons or electrons around atoms. And, the universe is infinitely big and everything we see including galaxies are part of even larger structures, and those structures make up larger structures. Electricity is light, metal wires contain light waves, light is waves in aether, gravity is the pressure of aether on mass, and aether itself is made up of parts etc. Rotation is very important at all levels with rotation being what makes mass stay together and appear as a stable entity. Fascinating world and all based on the concept of infinity and Glenn’s ten assumptions of science. You can read about this theory in the book “The Universal Cycle Theory“. We teach our children wrong. The current method for teaching science is to teach our youth not how to critically think and make science better, but how to parrot back what truth is according to others. This is all wrong. That is what this movement is all about. If we would have been teaching our students for the last 100 years to be critical thinkers and to challenge mainstream ideas, concepts, assumptions and theory, we would be 100 years into the future. But we did not do this and we have constructed a house of cards where physicists and cosmologists talk mumbo-jumbo that is full of holes and bad assumptions, and then tell the general public that it is not the theories that are full of holes, it is our heads which cannot understand such “lofty” logic. This is simply wrong. Thanks to these new scientists, we don’t need to start a revolution in science, the CNPS has already started that over 20 years ago. 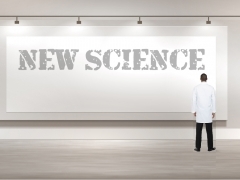 What we need is to start a social revolution in science. A revolution that does not teach conclusions and interpretation of data, but one that always looks at data and after seeing data from experiments, tries to come up with mathematical formulas that fit that data – not visa-versa. A revolution that does not teach truth, but teaches students how to find truths and there may be more than one just like in other professions where there are more than one idea, solution, product, or theory. For thousands of years, mainstream science has not changed when change was inevitable. Mainstream science will die defending old, paradoxical theories that will be forgotten with time. Join me and others and help begin to paint a picture of this wonderful new universe that has come from the amazing minds of the scientists in the John Chappell Natural Philosophy Society. This is not only a universe that is full of logical answers and amazing new questions to answer, but one that makes science and discussing science fun again- the way science is meant to be. And maybe we can break 3000 years of the tradition where outside science becomes mainstream, and then new mainstream gets stuck. We can make it so it will not get stuck anymore. Where change and questioning is normal, not conformity. And maybe, just maybe this social revolution will break the chain so that there is no such concept as mainstream and dissident science, but simply SCIENCE.